Hotel Santa Fe Los Cabos by The Villa Group is located in the city downtown of Cabo San Lucas, near of the Marina and of the Medano Beach, known as one of the city’s best beaches. Hotel Santa Fe is just 45 minutes from the International Airport of San Jose del Cabo and 15 minutes from the International Airport of Cabo San Lucas. You will have an unforgettable dream vacation with us, your comfort is of highest importance to us. 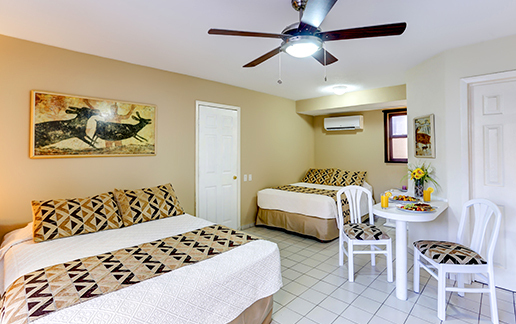 Our 51 studio rooms recently renovated have flat screen, air conditioning, ceiling fan, a fully equipped kitchenette, microwave, refrigerator, dining room, and more. The rooms offers a beautiful view of the pool from their windows. Our well appointed rooms reflect the quality of the welcome our guests receive here. 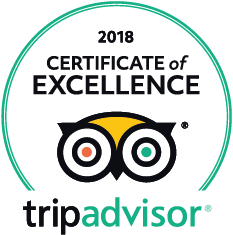 All our services will make your stay as pleasant and memorable, knows each of the activities that has this beautiful destination, our staff will gladly assist you. You will discover an ideal space to rest and enjoy in each of the 51 Studios that Hotel Santa Fe by The Villa Group offers. Our Studio offers air conditioning, while the room offers a beautiful view of the courtyard and pool. A fully equipped kitchenette offers all of the amenities to make your trip more pleasant. For business travelers, our rooms are equipped with wireless internet. The amenities in our Studios were designed exclusively for your security and comfort. STUDIO: The Studio offers you a comfortable queen size bed, for one or two people, full bathroom with shower, fully equipped kitchenette, dining table and Mini Bar. FAMILY STUDIO : Perfect to enjoy in family, Includes two queen size beds, for up to four people, full bathroom with shower, fully equipped kitchenette, dining table and mini bar. With pool view.